Spring sports are in full swing! We asked our friend and sports photographer Robert Hanashiro to share some of his tips for capturing that epic shot – you know the kind…not just capturing peak action, but the spirit of the game. We hope you enjoy this guest blog by Robert, and if these three tips get you hungry for more, check out the Sports Shooter Academy that is happening next week in California. I admit it. I am a big fan of NCIS. The long-running series about a Naval criminal investigation team revolves around former Marine “gunny” Leroy Jethro Gibbs, a steely-eyed no-nonsense team leader played by Mark Harmon. As any fan of the show knows, Gibbs has a list of 36 rules that not only influence the lives of him and his team but are also life lessons unto themselves. I hold a sports photography workshop in Southern California where we take students, working photographers and aspiring sports shooters to cover various events. Sports like college baseball, football, track & field, water polo, soccer and basketball, mixed in with horse racing, surfing, boxing and beach volleyball make up the Sports Shooter Academy schedule. Just because the base runner has been tagged out at home plate or a receiver has made an acrobatic catch doesn’t mean the action is over or a cool moment won’t happen. One of the most aggravating things I see when I am out covering a sports assignment is seeing photographers habitually looking at the screen on the back of their camera an instant after a play. “Chimping” — looking at the LCD screen — is a disease that needs a cure. Maybe a slap on the back of the head like Gibbs does when one of his team screws up? We all want that instant gratification of seeing a remarkable play we captured— or what we think is a remarkable play. Digital cameras are remarkable tools. But constantly looking at the LCD screen serves no real purpose other than take your eye and concentration away from the game. That remarkable image you captured ain’t going anywhere. So, stay focused on covering that game, you can look at it when there is a break in the action, during a timeout or when the game is over. Camera auto-focus is so good these days that anyone that can afford to buy the latest, greatest camera and telephoto lens can make claim to be a “sports shooter.” But just because that running back or point guard is tack sharp does not make you a real Sports Shooter. One of the telltale signs of someone who is, what I call a “camera pointer” rather than a photographer, is cluttered, distracting, messy backgrounds. Using telephoto lenses with a wide-open aperture to limit the depth of field is one way to clean up those crappy backgrounds. Another is to look for an elevated spot to shoot from. This serves three purposes. First, it moves the distracting background out of your angle of view, so the field essentially becomes your background. The second cool thing about shooting from a high vantage point is that it gives you a different and often unique look at the game. The third thing is the light is different from above and you can use shadows creatively. Rigging a remote camera can accomplish a couple of things, the most important is giving your viewer a unique, different look at the sports you’re covering. You can place a remote camera in places that you cannot stand while covering a game, or place it in a spot that gives you an unique angle. The other purpose a remote camera gives a Sports Shooter is providing an alternative angle. For instance, if you’re covering a basketball game, you can use a remote camera on the opposite side of the court so you can literally be in two places at one time. There are several caveats using remote cameras and the foremost is safety. With all aspects of sports photography, “safety first” is always #1. Be very careful where you rig your camera, make sure your camera is away from players, referees, fans, popcorn vendors, and others that potentially could bumping into it. If you are rigging a camera high, use safety cables for both the lens and camera body. If you’re in an unfamiliar venue, check with the management about any rules they have concerning remote cameras. After you’ve rigged your remote, ask for help to pre-focus your lens by getting a stand-in. I cannot tell you how many remote photos I’ve lost because I wasn’t as careful to pre-focus as I should have been. And always, always, always, get to the game early, even more so if you are planning on rigging a remote. 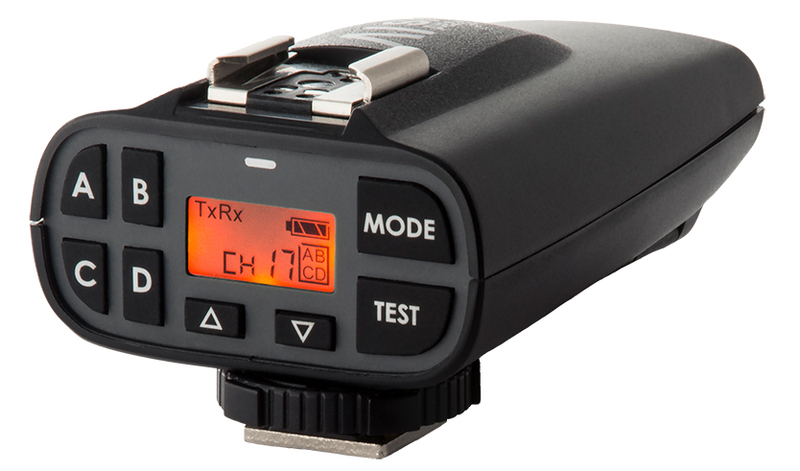 Of course the best method to trigger your remote camera is a radio transceiver made by PocketWizard. (Note: I am not being paid by PocketWizard to mention their products or to write this post!) I have been using PocketWizard radios with great success for about 30 years at some of the biggest events (Olympic Games, NBA Finals, NCAA Tournament, World Series, NHL Stanley Cup) to the smallest (youth league sports). Thanks Robert for the great tips! If you’re inspired to learn more, it’s not too late to register for next week’s event, but hurry, there are only a couple of slots open. If next week is not in the cards for you, look for their future academies and start planning now! Why should you add a Plus IV to your photography kit? We’ve compiled a list of the top 10 reasons you need a PocketWizard Plus IV. The PocketWizard line of radios are well known for their quality construction and their reliability. We offer many choices of radios depending on your needs for a radio trigger. Whether you shoot portraits, weddings, sports, or just for fun, PocketWizard gives you a competitive edge and opens the door to many creative opportunities. Put your flashes wherever you want: Use a radio on your camera and one for each remote light to easily trigger off-camera flashes for the most pleasing light. Use speedlights or strobes – or both! Trigger a remote camera: Get creative using remote cameras for unique perspectives. You will need one radio to use as a transmitter (on your main camera or in your hand to manually trigger) and one radio with the correct remote camera cable for each remote camera. Add another PocketWizard and flash and you can trigger a remote camera in sync with that flash using relay mode. Reliability: By using our reliable 344 MHz frequency in the US (433 MHz in Europe), you can avoid the noisy and crowded 2.4 GHz spectrum. Top hot shoe with on-camera TTL: This makes it the ideal trigger for photographing events such as weddings because you can have a fill flash on your camera and still have the ability to trigger an off-camera flash. For your remote flashes, the built-in top shoe of the Plus IV makes a great stand for your speedlight – no sync cable required. Trigger multiple lights from many different brands: If you have a third-party TTL light that has its own trigger, you can mount the transmitter in the Plus IV hot shoe. Dual purpose: The low profile Plus IV radios are transceivers that be used either a transmitter or receiver. 32 Channels: 16 Standard plus 16 Quad-Zone Triggering Channels are available to ensure no overlap with other photographers. Learn more about channels here. Quad-Zone Triggering: activate or deactivate your lights in 4 separate Zones (A, B, C, or D) directly from your camera’s position. Simple user interface: All Channels, Zones, and Modes can be easily engaged via a keypad located just above your viewfinder of your camera. Check out this video showcasing the features of the PocketWizard Plus IV. Share your reasons why you like the Plus IV and use the hashtag #WhyPocketWizard. We can’t wait to see your photos! PocketWizard radios not only enable you to remotely trigger a flash, they also enable you to remotely trigger a camera. You don’t even have to be within view of your camera. With the right set-up, you could even be hundreds of feet away from your camera in any direction. And it works with all PocketWizard radios on every camera we’ve tested. The photo of our camera tree is our fun demonstration of this versatility! Unique vantage points: Capture images from a dangerous or tight location – like racing events, behind soccer or in hockey nets. Ultra-low perspective: This is great for sports photography to make athletes look even more powerful. High perspectives. We have lots of users that are mounting their cameras in the rafters at sports arenas. You can also put your camera on a super high tripod or mount on a pole. Wildlife photos: Put your camera in an inconspicuous location and stay safe by manually triggering from a distance. Epic selfie: Got an amazing shot? Put yourself in it! Photographing Children: Get out from behind the camera and engage with your playful subjects! Use a manual trigger and your subject will forget about the camera. Street photography: Get out from behind your camera for some candid street photos. Your own family photos: Easily put yourself in the family photo. No more hitting the button and running. Finish Line: At a race finish line, have one camera with a wide angle capturing a wide view and have your main camera outfitted with a zoom to capture the details. Each time you click, your remote captures the wide view at the same time. Wedding: Tuck a small mirrorless camera on silent mode hidden up front during the ceremony. Now you can stand out of the way and not invade the moment. Your remote will trigger and capture the critical moments from a different perspective in sync with your main camera. Architecture Photos: That golden or blue hour window is short. Set up a remote camera to capture a different angle and get multiple perspectives with the same light. Sports: You can capture that amazing play from different angles getting all the action and emotion you are looking for. You will need two PocketWizard radios. One PocketWizard radio to use as a transmitter (attached to your main camera or to hold in your hand to manually trigger) and one PocketWizard radio with the correct remote camera cable for each remote camera. Yes, you can have multiple remotes all linked to a single transmitter. You will need a cable. The remote camera needs to connect to a PocketWizard radio with a remote camera cable. While we engineer our cables to be the best, accidents can happen! You may want to have a back up! Find your remote camera cables here. Make sure your internal camera clocks are in sync on all your cameras. When you import into your editing application of choice, your images can sort by time. Safety is first! Make sure your remote camera is secure and isn’t going to injure anybody or isn’t going to get damaged itself. You may need to ask permission before you set up. There are many tutorials on the web on how to secure your equipment to minimize accidents. Watch this quick video on how to set up a remote camera. How do You Use Remote Cameras? Last week we gave you a little insight into what goes into setting up remote cameras for the Super Bowl by speaking with photographer’s assistant Shawn Cullen. After the big event, we caught up with Shawn to see how it went and get some more detail about what it’s like to shoot one of the biggest sporting events in the world. How Many Photographers Does it Take to Photograph the Super Bowl? When possible, the photographers are connected to the network to transfer images as soon as possible after they are taken. When network connectivity is not possible, 10 runners are stationed to grab cards from the photographers and run them to the command center. The cards are placed in labeled bags and the runners are instructed to never take their hands off the cards. The command center was set up in an unused ticket office where editors review and select the best images to put on the wires. On Super Bowl Sunday morning, USA Today had a staff meeting with everyone where they review the game plan and what to look for including players, coaches, half-time performers, singers, cheerleaders and the crowd. While this historic game did not have huge amounts of scoring action, there was still plenty to capture. While Shawn didn’t know exactly how many photographs were taken, he estimated around 75,000 or more. PocketWizard radios communicate wirelessly via radio waves. Just like any radio, they operate on certain frequencies and some frequencies are better than others. In North and South America (and some parts of Asia) we use the 340 – 354 MHz range because it is the least crowded frequency range for our class of wireless triggering devices. Other frequencies, used by our competitors, like the 2.4 GHz band, have many more interfering devices on them. These frequencies are getting more and more crowded as they are used by Bluetooth, Wi-Fi and wireless microphones. That makes the PocketWizard frequency the best because it is the least crowded which improves reliability and reduces the possibility of missed shots. While our frequency range is the most reliable, there are a few best practices that we can share to enhance reliability and Shawn has a few of his own tricks. Whenever possible, try to maintain a line of sight between the radios and keep the antennas parallel. While radio does not require line of sight, it does help dramatically. When working in the catwalks of large stadiums, Shawn feels he gets the best reception by pointing the antennas slightly downward. Make sure the radios are not near any large metal, concrete, or high water-content objects. People and trees are mostly water! Hard to avoid any of this in a large stadium! To minimize interference, Shawn uses a long cable to keep the radios as far from the camera as possible and 2 of our non-metallic 4 inch mounting bars (MB4) screwed together to position them as far from the metal stadium supports as possible. Do not mount the radios close to the ground – try to have them several feet above the Earth or building floors whenever possible. In order to get that awesome low perspective, try and mount the PocketWizard above the camera if the camera is low. Shawn swears by Long Range mode to extend the signal even farther. “Dead spots” have a number of causes, but the solution is usually the same: move the radio a few inches or feet away from the problem area. The Super Bowl 2019 was played at the Mercedes-Benz Stadium, arguably the best venue in the NFL. Some of its features include a 360-degree Halo Video Board that frames the roof opening – it is the world’s largest LED scoreboard at 63,000 square feet. Fans enjoy complete connectivity with 2,000 TV screens – even embedded into bathroom mirrors and on the 101-foot-tall “Mega Column” three-dimensional video board. The venue has 1,800 wireless access points where 71,000 people can concurrently stream. Read more about the stadium here. While all of these amenities make for a great fan experience, they can interfere with radio signals. At the Super Bowl there is a frequency coordinator who manages all the frequencies to minimize interference. Whether you are shooting your child’s pee-wee football game, or the Super Bowl, or best advice is to test, test and test again your set up and adjust where necessary. Want to learn more about radio waves? Check out our Wiki! Want to see some of the epic photographs taken by USA Today sport photographers? Check out their gallery of their 100 best photos. Who’s ready for some football? Have you ever wondered what it’s like to photograph the biggest event in sports? We talked with Shawn Cullen who works as a photographer’s assistant with USA Today Sports and was setting up on Friday for Sunday’s big event. He explained how he sets up to captures this epic event. Shawn has 6 remote cameras all set up in the catwalk aimed at key areas on the field. Two at the 50 Yard Line – Both are aimed at the logo in the center to capture all the activity at the center of the field including the coin toss. One remote camera is equipped with a super wide lens to capture the end-to-end field overview including the scoreboard. Shots from this camera are helpful since capturing the scoreboard will give you an overview of the game at any time. One at Each 25 Yard Line – Aimed at the roman numeral logo LIII. One at Each End Zone – Pointing down the field poised to capture a field goal and the trophy presentation. PocketWizard Plus III radios are attached to each camera. The radios are tuned with a Custom ID which is a private digital code that ensures that only you can trigger your remote camera. In crowded shooting environments, like the Super Bowl, Custom IDs give you the confidence to know that your remote camera isn’t going to be accidentally triggered by another photographer. While all the PocketWizards are set to Custom ID, they are programmed to different zones. PocketWizard Plus III units offer the ability use 4 different zones. All the cameras are connected to an ethernet cable so that the image editors can have fast access to the images to review and post online as quickly as possible. The radios are all set to Long Range mode to extend the range. The Plus III Transceiver can trigger a remote up to 500 meters (1600 feet). An indoor football stadium is not an ideal shooting environment as there is a lot of noise. Using Long Range Mode nearly doubles the effective triggering distance in almost any environment. During the game, the remote cameras will be triggered by USA Today photographer and engineer James Lang. The cameras are all connected through a VLAN network and a video feed from the camera’s eye piece gives James the camera’s view. James remotely triggers the cameras when the action is right. On Friday, two days before the game, all the remote cameras are set and tested individually. In fact, USA Today photographers are required to participate in a “Burn Test” where the photographers fire all cameras at the same time to test the network. This is to simulate what might happen at any critical point in the game when everyone is trying to capture the action. This is done so that they can anticipate and correct any issues that might arise. Shawn and James – good luck at the game, we can’t wait to see your photos!